I know.... I know... I'm not supposed to talk about bubbles. Maybe the current boom isn't. But the focus of this Businessweek article stresses that salaries for talented internet marketers has gone through the roof—and it makes me a little nervous. I remember similar articles talking about Web Designers during the internet bubble. To the talented: Don't just chase after the dollar, only make a move if your talents can be put to good (or better) use. True talent is only happy when it's being used. To the employers: Don't get carried away. Genuinely talented people care about the work and have the history to back it up. To everyone: Increase in Advertising and Marketing budgets don't always make for better Marketing—sometimes innovation suffers during "boom times" because folks get carried away by silly trends. “Mama, let your babies grow up to be Web ad guys. With the online ad business up 30% last year to $12.5 billion, according to the Interactive Advertising Bureau, job candidates are feasting on a seller's market. The top Web ad agency, Seattle-based Avenue A/Razorfish, is looking for 200 people on a staff of about 1,500, after growing by 200 positions during the year to date. So, here are three approaches to Marketing Moto's long awaited Q. Ironically, I think the video on YouTube comes closest to influencing my decision to purchase this (or not). 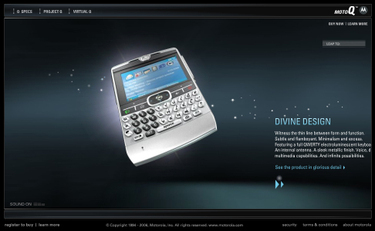 R/GA to Create Nokia "Virtual Studio"
"In an effort to further capitalize on the launch of the N93 multimedia cell phone, Nokia’s interactive agency, R/GA, has created a virtual studio application to let users distribute video content captured with the new phone’s built in camcorder. Nokia hopes that that the new service will encourage users of the device to create mobile video clips, then upload them and post them online." Jakob Nielson draws attention to the fact that most B2B sites are woefully behind when compared to their B2C counterparts in just about every measure. He’s right. But there are exceptions. 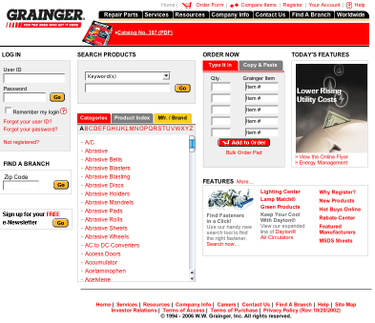 My team spent nearly five years evolving Grainger’s uber-commerce Web site from an internally focused marketing site, to a user-centered and usable B2B transactional experience. B2B sites often prevent users from getting the information they need to research solutions. Sometimes this is deliberate, as when sites hide the good stuff behind registration barriers. Other times it's inadvertent, as when confusing navigation prevents users from finding information, or when the information they do find is so voluminous and convoluted that they can't understand it. When I started Logic+Emotion several months ago—I was driven by two things. Passion for the revolution we see unfolding within our industry, combined with intense curiosity toward the blogosphere. I had no idea that in a few months, Logic+Emotion would have a modest but steady stream of readership. So, to help make this blog better—I’d like to know what you would like to see more of... less of... or omitted all together. I can’t promise I’ll edit the contents to please everyone—but I can promise to listen. I’ve also updated the comments function to accept feedback instantly. Just a small gesture to stress the “open” in open source. The suggestion box is open until further notice. Speak now—or speak later. Love Google—but think the site could use a little "love" when it comes to visual design? Apparently Google might agree. They recently hired well known designer Doug Bowman to help bring this practice to Google as their only Visual Design Lead. That's right. He's the first. "After a bit of negotiation and a lot of internal debate, I recently accepted an offer to join Google as Visual Design Lead, a position that did not previously exist there. I’m charged with helping the company establish a common visual language across all their collaborative and communication products. This includes products I’ve already had some hand in like Blogger and Calendar. But it will also include other highly used products like Gmail, Writely, Page Creator, and other projects in the pipeline." Thought this was relevant as my "Blah Blah Blog" post points out how much blogs are influencing influential people. Forget what's on your iPod... What's on your blogroll? NY Times has a nice piece about the "open source" movement. References Firefox Flicks among others. The "brand reformation" part is priceless. We can now all engage in a direct relationship with the "Almighty Brand". “The rise of consumer-generated advertising can be viewed as either a boon to brands (outsourcing marketing to loyal customers) or a threat (handing marketing over to a bunch of uncontrollable amateurs). When G.M. solicited consumer input in online ad-making for its Chevy Tahoe, many people responded with anti-S.U.V. messages. Grant McCracken, an author, anthropologist and consultant, takes a broader view, describing consumer involvement as a kind of branding Reformation: marketing professionals used to be the high-priest gatekeepers, but now we can all have a direct relationship with the Almighty Brand. He refers to this as brand "co-creation" (a term he credits to C.K. Prahalad, a business professor at the University of Michigan), and sees it as both inevitable and smart, even in the case of the Tahoe controversy. "The era of the brand that's blandly constructed and hopes not to offend anyone — to be pleasant — that notion is really dead," McCracken says." I love this piece from Hugh. It perfectly sums up the state of the industry—and I think it provides an insight as to why blogs among other "social network" platforms are being embraced in mainstream fashion. So let's start with the obvious. People are more informed and empowered than ever, and as a result they are gradually tuning out the traditional methods of marketing communications. But why have blogs become such an integral part of the evolving "open source" model? Here's a way to look at this. Think about the job interview process. When we are on the job search, there are several sources that we get information from. The recruiter, HR, external resources and if we are lucky, we know someone who works for the company. Which source of information would you most likely trust? If you said HR, you are probably lying. Most people would trust someone they know who works for the company for the "real scoop" on what it's like to work there. It's not so different with blogs. Blogs are becoming the "insider" of our time. Not only a source of information, but of information exchange—combined with network-like behavior that creates community and fosters relationships. It's difficult to "fake" a blog these days. When I did work for HP, we pleaded with them not to launch a "fake blog" which featured a made-up persona named "Ted". Ted apparently ran a "blog" about TVs and coincidentally had a writing style that sounded just like a marketer. So what happened? The blogoshphere promptly flamed the site and it was taken down in a matter of weeks. But sadly, we probably won't see the last of this type of marketing effort. Blogs are getting embraced because they are real (at least the good ones are). Often times, the authors of industry blogs are active practitioners themselves and blog out of passion for what they do. Blogs are gradually establishing credibility one post at a time. When I go to a meeting, its almost as common for someone to reference a blog source as it is a respectable resource such as Forrester. On this note, blogs often times have a leg up. They are usually ahead of the curve on trends and often times very accurate. Not to mention blog networks point you to all sorts of great resources at no cost. Juice and Three Minds, for Experience Design--Putting People First, usernomics and boxes and arrows can't be beat. For social networking, there's the church of the customer blog and consumer generated media. Get the picture? Just like the "inside employee/friend" example, I trust these resources for real talk and unfiltered perspective. And not only that, they talk back. What happens in the comments area of blogs is almost as interesting as the posts themselves. If someone says something interesting, you have instant access to their blog (if they have one) and so the network grows. That's how I was invited to participate on Marketing Profs Daily Fix. Ann Handley handled one of my comments, checked out Logic+Emotion and extended an invitation for me to guest blog. Adweek recently announced that Organic’s Colleen DeCourcy will take the new role of chief experience officer at JWT, (nice title!). It’s a sign that the battle for Agency 2.0 is in full swing. 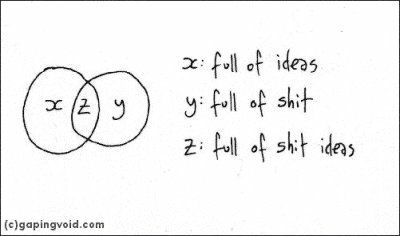 There are a lot of definitions floating around about what Agency 2.0 is. From interactive, to word of mouth—agencies across the globe want to position themselves as the driving force behind the strategies which help connect people with brands/business. So who will emerge as Agency 2.0? Some feel that the large traditional agencies are best positioned to do this. Others, see the nimble interactive shops having the most relevant experience. Still others see the media agencies or marketing firms paving the way. No one really knows how this will turn out—but one thing for sure is that the agency world is taking action before our very eyes and it’s pretty amazing to see. The graphic at the top shows how Advertising Age Download advertising_age_2006_agency_report.pdf has ranked some of the “top 5” agencies across these genres. This could provide some insight into how things may proceed forward. It’s going to be an interesting ride—stay tuned. 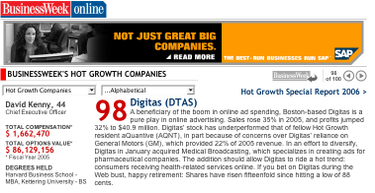 Businessweek recently announced it’s top 100 Hot Growth companies. I’m happy to say that Digitas (the company I work for) made the cut. Ever find yourself scanning the web for a cool online ad you saw somewhere? 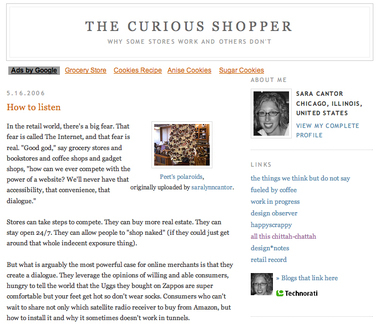 BannerBlog not only archives rich media ads etc.—it's a blog, so you can rate and comment on the ads posted there. Check it out. One of my co-workers was gracious enough to let me snap this pic of him. 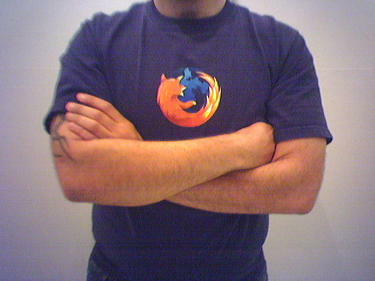 When was the last time you saw someone wear a Microsoft Explorer T-shirt? 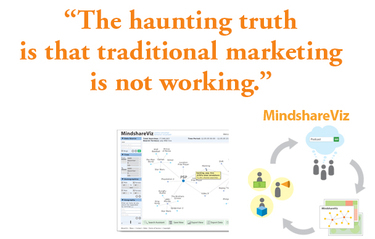 "For marketers, product developers and venture capitalists who are dissatisfied with traditional trend forecasting and market research reports, MindshareViz is a real-time trend visualization too that reveals consumer intent through online search behavior." From Clement Mok's Presentation at Strategy '06 (presentation can be downloaded from conference blog site). I recently contributed the Featured Post on Marketing Profs—exploring the relationship between design as it relates to the next generation of marketing (marketing 2.0). 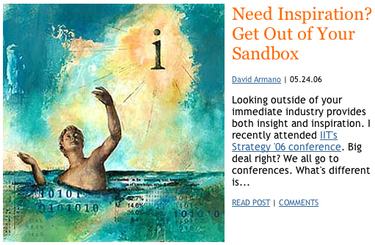 "What many of the IIT-type individuals may not realize is that they are marketers in a sense. The digital products/experiences they help design are enabling people to connect with brands as well as each other. You Tube, Flickr, Technorati, Typepad, Facebook—these are the open source platforms that help us market directly to each other. And the design thinkers at IIT have the right skills to develop these platforms and make them work." 8. You “mental blog” while driving or on the train, and sometimes even when you are alone in the shower. 7. You filter everything through your post-writing. You can’t watch a movie, see a play, read an article, or share a sweet moment with your child without thinking of whether it’s blog-worthy. 6. You suffer from “blog envy” when another blogger posts something juicy before you do. You suffer “comment envy” when said post gets 40-something comments – the jerk! 5. You “binge blog” 3 or 4 posts at once—only to feel guilty and empty afterward. 4. You ditched all your real friends for blog friends, because, well, “they understand.” You bypass Bowling Alone at the bookstore (who really cares?) while you reach for Naked Conversations. 2. Your lunch hour has become your “blog hour.” You keep a few posts tucked in your desk in case you need them during the day. Getty Images has teamed up with several design firms including one of my favorites (Barbarian Group) to produce 10 ways, an experiment which pushes the boundaries of interactive technologies and design. The site is a pretty amazing display of creativity. It reminds me of some of the exhibitions I used to see at the Whitney. If you have 10 minutes to waste—do it here. "Design has the power and the influence to actually make very large social and behavioral shifts in the world. And design, I think, is a very nice tool, an instrument really to shape human behavior,"
"Designers try the little bits to change the world. But in truth what I think that they're really good at is taking major developments, major revolutions, technological, historical, social or otherwise and what they do is they make them understandable, usable, manageable by normal people,"
"Great design is a combination of two things. It's a combination of usefulness or utility and emotion. What it draws people to things of which beauty is part of it,"
"We call it cross-fertilization. That you learn when you work for one industry, that you learn for the other industry. It's amazing, what kind of insight you gain from, what kind of thoughts are being developed,"
Marketing 2.0 refers to the new generation of marketing ideas emerging from the Internet era. The expression became popular in 2005 along with the idea of Web 2.0. It is a buzzword that forms part of the business jargon of corporate work environments pertaining to new means of marketing. The expression is most frequently used by a new breed of marketers who work primarily with the Internet. This new generation of marketers views media such as TV, newspapers, and radio as secondary means of communication. Many Fortune 500 companies have already started using the term internally and creating advertising campaigns leveraging the Internet as a socialisation mechanism between equal individuals instead of seeing it as a unidirectional mass medium. Marketing 2.0 is an evolution of Marketing that leverages the social networking aspects of many new websites. Frequently called Web 2.0, these sites reach millions of people via social networks and can involve media such as pictures, videos, blogs, social bookmarks, and feeds. The interconnnectivity of social networks combined with their ability to communicate a variety of mass media forms can be used to advertise/market in novel ways. Companies can supplement traditional marketing methods with Marketing 2.0 for things like branding, hype, promotion, and public relations. The fast food giant Wendy's created a profile for their square hamburger character from television commercials on Myspace.com. This character was then added to the "friends" list of over 90,000 profiles resulting in a significant amount of unpaid advertising. MGM posted an eight-minute clip of their movie "Lucky Number Slevin" on YouTube.com prior to its release. This movie ended upon the homepage in the category of "most popular videos of the day" and received 4.5 out of 5 stars from YouTube visitors. 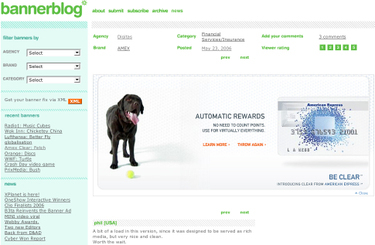 Other websites that can be used for Marketing 2.0 include Flickr, Digg and Del.icio.us. Because of the growing variety of devices like digital video recorders and mobile video devices, it is becoming easier than ever for viewers to avoid or ignore conventional TV advertising. Hence, product placement - which has been used for a long time in advertising - is playing a more important role in the context of Marketing 2.0. These new TV advertising opportunities come in the form of what is also called branded entertainment. They include mentioning brands in lines of dialogue, placing products in scenes so they are visible to viewers and giving advertisers roles in plots of shows. These tactics along with others can all contribute to buzz marketing, which is pushed a lot further in Marketing 2.0. Buzz marketing helps with several aspects of marketing and advertising including search engine optimization. With all the links to a website generated through blogs, websites can become ranked very quickly for certain keywords pertaining to that product/service. Here it is. The slide heard 'round the design community and blogoshpere. From Roger Martin's (Rotman School of Management) "Designing in Hostile Territory" presented at IIT's Strategy '06 conference. 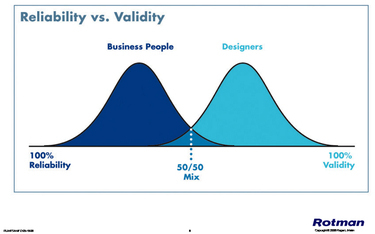 In it he takes on the "communication gap" that exists between creative thinkers and business people (Reliability vs. Validity). He challenges designers to view this difference in mindset as a "design problem" which needs to be solved—and engourages both types of individuals to strive for more balance in their thinking. Excellent conference. Podcasts, photos and blog can be found here. 55 degrees in Chicago. Time to take your clothes off and paint your body a bright color. Back in black: The new Apple MacBook goes "Darth Vader"
Here is the artifact (Download sandbox.pdf ) I created for my lunch roundtable at IIT's Strategy '06 conference. Among the attendees were individuals from Marriot, Closerlook, Ecco Design, Pathfinder and Doblin. It was a great discussion. Summary? We're all looking for the next generation of creative problem solvers in order to play in, around and outside of our sandboxes. “We all share an innate human need to be heard. If retailers want to stay relevant, they can start by listening. Good stuff. Be sure to check it out. On a personal note, Sara and I connected at last year’s IIT Strategy conference after she gave one of the best student presentations I’ve ever seen. No surprise that she’s behind this blog. IIT’s Strategy 06 Event Isn't a Conference—It’s an Experience. Started off the day walking past the world-class shops on Michigan ave. The Apple and Nike Store were a fitting precursor to the days events. After walking through the door of Chicago’s MCA I quickly registered and moved on into the “e-lounge” where I grabbed a quick cup of coffee, checked e-mail on one of the 21-inch iMacs and engaged in small talk with design legend Clement Mok. Turns out he’s building a new home and thinks the whole new construction process needs to be re-designed from the ground up. The day then progressed into a series of presentations and discussions in MCA’s well equipped auditorium. In between presentations we could grab snacks back in the lounge, post comments in real time on the event's community blog and stroll through the museum where Andy Warhol’s work was being featured. The day ended with a wonderful reception including cocktails on the MCA’s second level. The combination of the venue, speakers, community blog, photos, podcasts, all add up to a great experience. If you plan on hosting a conference, you should check out how the IIT turns conference into experience. No big surprises here. Latest study shows that teens are not watching TV as much as they used to—and only one in four can name the major networks. Whenever I have the chance to observe my niece and nephew (both young teens)—this kind of study gets confirmed every time. At our latest family get-together, they were all gathered around the Laptop. Not the TV. And ironically, they were watching movie trailers. In a word—arrogance. We thought we knew better than our clients, that somehow we were “enlightened”. How quickly that changed. Even the “poster boy” of dot-com arrogance, Jeff Dachis of the original Razorfish changed his tune by 2001. But all of us played a role. For my part—I’m sorry too. We should have all known better." Remember those old EF Hutton Ads where everyone stopped in their tracks to listen to what they were saying? I've noticed that Cooper has a less dramatic, but similar effect in the industry. A couple of days ago, they released one of their newsletters, and I've been getting lot's of e-mail activity around some of the topics. Also noticed some references on a handful of industry blogs. 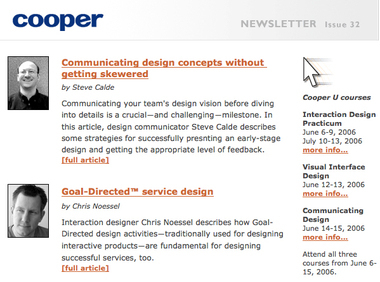 Cooper is a pioneer in User Experience/Interaction Design, and the Founder Alan Cooper did a lot of influential work in defining interactive Personas. If you don't want to subscribe to their newsletter, you can keep tabs on the topics here. Adaptive Path has joined the ranks of companies that blog. But what should be special about this blog is the depth of expertise it promises to bring to the industry. Adaptive Path is well respected in the fields of user-centered design, interaction design, usability, general research methodologies and experience design among other specialties. This will be an interesting blog to watch—the folks at Adaptive Path do great work and have some really insightful thinking behind what they do. 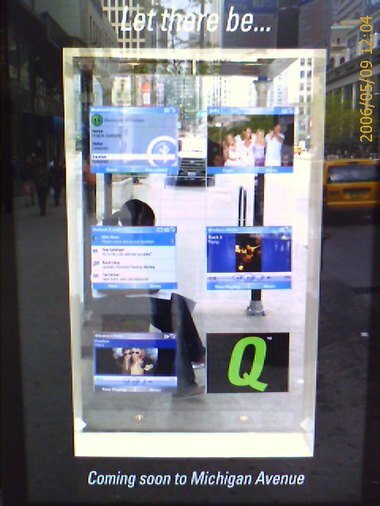 So, as far as I can tell, this is Moto's first interactive marketing effort for the Q. And it's not half bad. Playing off the popularity of highly produced evening game shows, Moto lets you play a trivia type game (Find The Q) against others in real time. The head to head competition gives you a shot at winning one of several hundred Qs that they will be giving away. It's not a revolutionary campaign—but given the competative nature of people, it could prove to be effective. 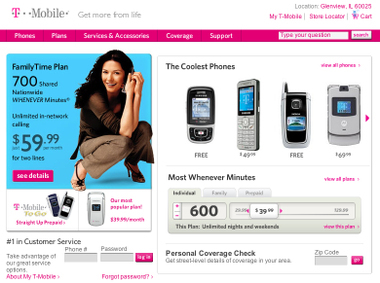 T-Mobile has recently re-vamped their site. The homepage has been significantly changed, and I'm thinking for the better. As a T-Mobile customer, I can always remember the homepage looking rather nice visually—but it was constantly promoting their latest deal which I didn't care about, nor did I suspect that prospective customers did. If you've ever been on the market for a new mobile phone, you pretty much care about three things. 1. The phones carried by the service provider. 2. The plans/pricing that go with those phones. Sure. there are other things—but these are the biggies. And they don't have anything to do with a "promotion of the month". The New T-Mobile homepage nails it by letting you quickly browse the phone models, get details on local coverage, and "price out" plans using an easy to use slider in combination with some other choices. In short, the experience is more closely aligned with how customers think—and what's important to them vs. what T-Mobile wants to be important. 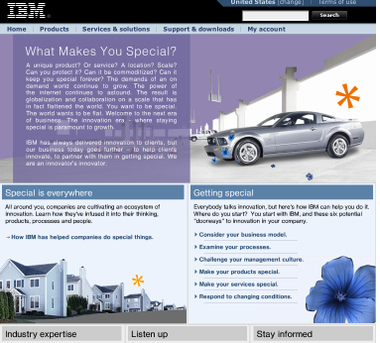 Is IBM innovative? Guess that's arguable, but there's no doubt that between efforts like Titanium laptops and the "IBM innovation" campaign—they are trying to create this perception. I did want to take a moment to draw attention to the related innovation campaign site. It's been around for a while, but I recently came back to it and noticed that the homepage was leveraging Lazlo's web 2.0 platform on the homepage. 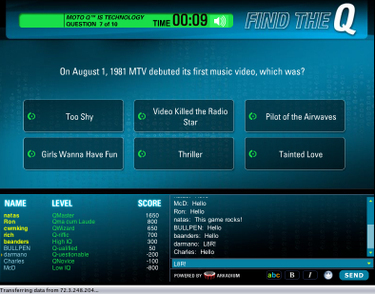 The Lazlo technology allows content on the homepage to expand, contract, and makes use of the "sliding panel" technique to allow for more information in a small viewing space. Techniques and technology aside—it's worth noting both the strategy and execution. I know first hand what it's like to work with large IT-driven organizations (HP) and getting them to embrace a direction like this is not always easy. Now we'll just have to see if the customer buys it. Funny—this is sort of related to my last post though totally unintenional. Article in Businessweek suggests that "it feels like 1998" all over again. “Are we or are we not in an Internet bubble? The debate flares up at industry parties, conferences, and in blog discussions like a never-ending marital spat, dragging in even those who are tired of the question. John Doerr, partner at venture capital firm Kleiner Perkins Caufield & Byers, won't even use the word bubble, preferring to call the late '90s "the boom." I have no idea if this is a bubble or not—but having survived the dot-com downturn without losing my job (thankfully), I would offer up this perspective. Let's learn from what happened in the late 90's. The creative spirit was good. The arrogance was bad. Let's re-capture the creative spirit, mix it with the wisdom we've all gained since—and do some things for people that somehow makes life just a little bit better. I’m a true believer in reflecting on the past as much as looking to the future. 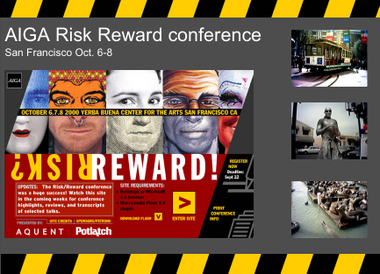 I was recently rummaging through some old materials and came across a deck I put together capturing some choice highlights from the AIGA Risk Reward Conference (.pps) back in 2000. There are some nice insights in the deck that I took away from the event. I recommend taking a quick look through it—as much of the thought is applicable today. What’s remarkable about this is that the conference had the same creative energy levels that we are seeing in the industry now. Back then anything seemed possible. There was so much going in between the traditional creative worlds and what we were seeing online. It was both a special and kind of crazy time. We all know what happened shortly after 2000. The internet bubble burst, global terror reared it’s ugly head, and recession hit pretty hard. So temporarily, many of us had to put survival in front of creativity. Creativity never went away, it just took on a different shape for a while. Ironically, right after that conference, Risk became a dirty word. No one wanted to take risks. It was all about ROI. Wow. It’s 2006 and I can’t believe I survived those years in between 2000 to the present. And I’m glad I did. Looking back to the AIGA conference—I’m even more excited about creativity, innovation, and design then I was back then. Hard to believe. Let me get this straight. You start with a pile of goo. You give it a spine and evolve it. You design your creature from head to toe (if it has toes) so that it has the best chance of survival. Then you put it up against creatures that other players across the globe have created. Let the games begin. Complete with a host of Human facial expressions and the ability to respond to questions—The Repliee Q2 combines artificial intelligence with robotics. Good article in Boxes And Arrows offering a solution to the problem most Interaction/Experience Designers are having these days. 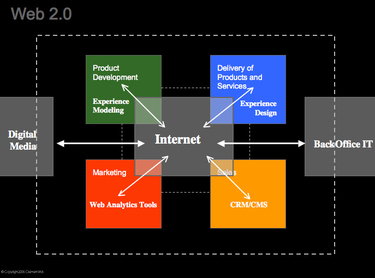 Architecting a dynamic interactive experience fueled by Web 2.0 technology. 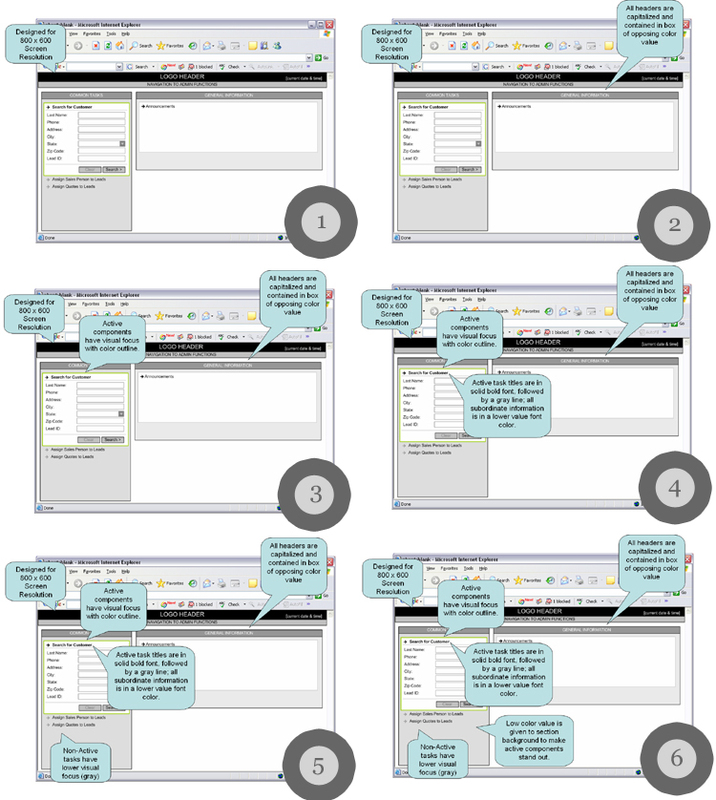 Essentially, a wireframe approach offered up in a storyboard format including narratives in detail bubbles to help walk the viewer through them. The author, Andres Zapata, calls this "The Guided Wireframe Narrative". I've had my teams working like this as well. We've used PowerPoint, PDF's and semi-traditional Storyboard outputs to achieve a similar goal. This is something all Interaction Designers need to take to heart. There's not always time to prototype. And static wireframes and sitemaps are not always adequate for RIA development—but there still needs to be structure, good experiences don't come out of thin air. I would also add that we move faster to visual design—and not over complicate solutions or over think. When people see artifacts that tell a story, they tend to understand it better. 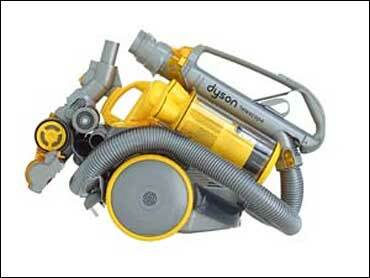 It's not about throwing away our artifacts, it's about evolving them and using the right tools for the right jobs. Interesting little offerening from Google. Provides you with some high-level search trends for keywords over the past few years. This is the visual result for the term "Daily Show". InSite is a new addition to Logic+Emotion. I'll occasionally feature a company/brand Website and break down what makes it noteworthy. Hello Design is the first. Have you ever introduced yourself to a stranger, stated your name and succinctly captured what you do? All delivered with your individual style and personality? 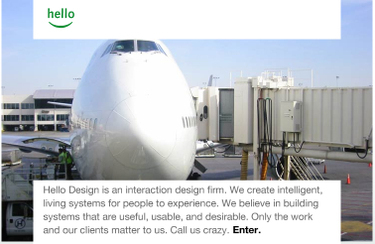 This is how Hello Design begins their site experience. With a pithy introduction that tells you who they are, what they do and what's really important to them. Now let's move on to the rest of the site. In Hello's greeting they matter-of-factly stated that "only the work and our clients matter to us". Does the site make good on this bold statement? Yes. Click enter and the first thing you see is the work. Front and center. So now you know a couple of things. Who they are, what they do, and that you can believe what they say. Hello Design does a nice job of proving through their own site experience that they can do great things for you—their next possible client. And their R&D section let's you know that they aren't just creative—they are creators as well. Simplicity, and consistency are driving forces through the site—from beginning to end. It's a nice case-study for design services firms to take notice of. Keep it simple. Keep it about the work. Mean what you say. Winners of the 10th annual Webby Awards have been announced. Be sure to browse through the list. It's a nice snapshot of what's working on the Web (well—you may not agree with all of the examples). Nevertheless, its a good "who's who". Webby's are usually very tough to win. And it's always cool to see if the People's Voice winners match up with the Webby winners. I'm not obsessed or anything. OK—maybe just a little. But here's the Q on video. I still need to get one in my hands for the true test. But this video is a the next best thing. Scroll-wheel looks pretty solid. That's really important—but a little funky Microsoft stufff going on with the e-mail menu. I'm curious if there will be a market for this device. "Are you involved in building interactive products? If you are a business owner, designer, technologist, or information architect, you will benefit from taking these four deep dives into essential aspects of digital product design: company insight, user research, information architecture, and interaction design. This is a hands-on workshop. At the end of these two days, you will have the confidence to practice these methods in your work life." An Ad agency designs an experiential retail store in Times Square. 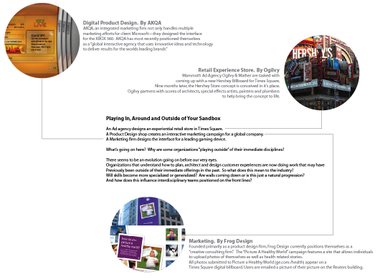 A Product Design shop creates an interactive marketing campaign for a global company. A Marketing firm designs the interface for a leading gaming device. What’s going on here? Why are some organizations “playing outside” of their immediate disciplines? 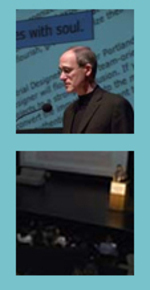 —The IIT event will also feature Bruce Nussbaum from Businessweek (view video from last year). Bruce has become one of the most effective design/innovation Evangelists to bridge the creative and business worlds. Should be an exciting week in Chicago! Yes. Ninja's are hip again. Or maybe they were never un-hip? I don't know. All I know is that I used to love Ninjas (Yes, I grew up in the 80's) , and every time I walk through the office—someone is playing a clip from Ask A Ninja. Funny stuff.